British brand, Walsh, developed the Tornado in 1983 for athletes competing in major marathons across the globe. The impeccable quality is the same, but the modern colours are all new. A midsole made from shock-absorbing EVA is specifically designed to resist impact, offering comfort and cushioning – whether you’re running a business or running a race. 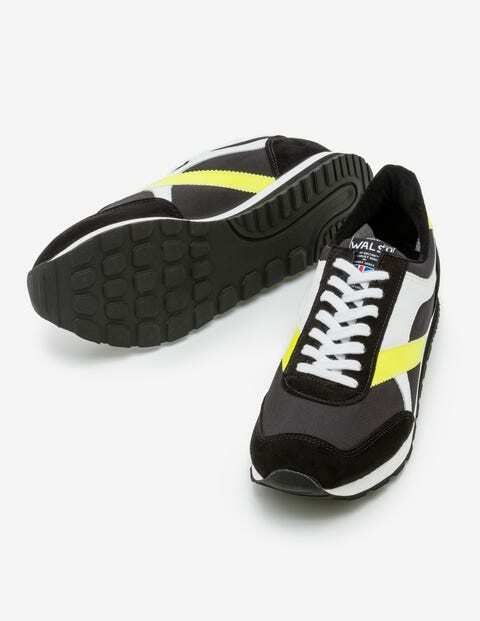 Walsh trainers come in UK sizes. Customers should refer to the size guide for an accurate comparison to US and EU sizing.